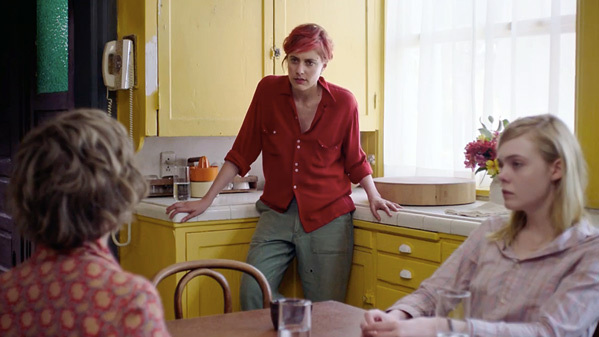 "If you're being honest, and vulnerable, and real, everyone can relate to that…" A24 has revealed a new featurette for Mike Mills' latest film, 20th Century Women, which recently premiered at the New York Film Festival last month. The featurette focuses on the various characters, or rather, the incredible women at the center of this fantastic film. The ensemble cast includes Annette Bening in the lead as the mother, with Elle Fanning, Alia Shawkat, Laura Wiggins, Billy Crudup, Greta Gerwig, John Billingsley and Waleed Zuaiter. It tells the story of a single mother raising her children in the late 1970s, and how different and unique and free they all are. Even though we've already featured two great trailers for this, I'm happy to bring more attention to this film in hopes that more people seek it out. Opening on Christmas Day. You can still watch the full theatrical trailer for 20th Century Women here, plus the first teaser trailer. The story of three women who explore love and freedom in Southern California during the late 1970s. The great Annette Bening, in one of her very best performances, is Dorothea, a single mother raising her teenage son, Jamie (Lucas Jade Zumann), in a sprawling bohemian house, which is shared by an itinerant carpenter (Billy Crudup) and a punk artist with a Bowie haircut (Greta Gerwig) and frequented by Jamie's rebellious friend Julie (Elle Fanning). 20th Century Women is warm, funny, and a work of passionate artistry. 20th Century Women is both written and directed by American filmmaker Mike Mills, of the films Thumbsucker and Beginners previously. The film first premiered at the New York Film Festival earlier this fall. A24 will open 20th Century Women in select theaters starting Christmas, December 25th. Maybe this can be the first film to make Greta into a likeable actress. She has seemed so odd and uncomfortable in many of her previous roles...this movie does look pretty solid though. Haven't heard of this before but it looks like a very charming film, actually.